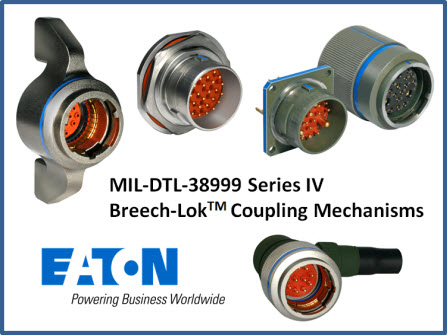 Eaton's MIL-DTL-38999 Series IV connectors utilize Breech-Lok™ coupling mechanisms that provide rapid mating and demating with only 90-degrees of rotation. 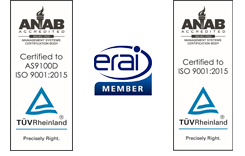 A comprehensive array of QPL products and custom solution capabilities facilitate rapid development of application-specific insert/shell configurations, EMI/RFI compliances and cable assemblies. March Electronics is the only authorized stocking value added distributor for G&H Technology's D38999/Series IV Breech-Lok™ connectors. March Electronics also stocks the covers in all sizes and lengths for the Breech-Lok™ connectors.